Best In Show under judge Paul Harding was the Kerry Blue Terrier, Ch Balboa Nembo Kid, owned by Mr R Tasselli and handled by Phil Davies. RBIS under judge Paul Harding was the Irish Setter, Ch Sh Ch & Ir Sh Ch Gwenariff Whippersnapper, owned by Alec Stewart and Danielle Ritchie-Smith. Awarded Best In Show by judge Mr Paul Harding at the 2018 Championship Show was the young Kerry Blue Terrier dog, Ch Balboa Nembo Kid. Owned and bred in Italy by Roberto Tasselli, and handled by Phil Davies. Since his arrival in the UK he has had success at National Terrier 2018 taking BIS, at Darlington 18 taking BIS, Driffield 18 awarded RBIS and is currently UK Top Kerry. Reserve Best In Show under judge Mr. Mr Paul Harding at the 2018 Championship Show was the Irish Setter, Sh Ch & Ir Sh Ch Gwenariff Whippersnapper JW, owned by Alec Stewart and Danielle Ritchie-Smith, bred by Diane Stewart-Richie and handled in BIS by Cathy Neill. It is the only All Breed Championship show in Ireland to be held under KC rules and a qualifier for Crufts! 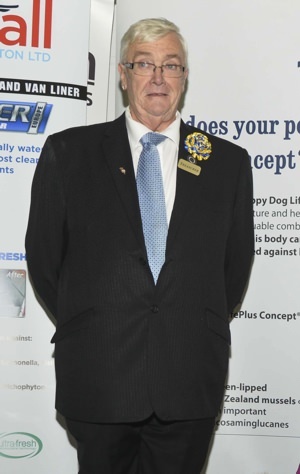 The Officers, Committee and members of Belfast Dog Show Society deeply regret the passing of their Honorary Treasurer. Christopher John (Chris) Cathcart, who died on the 29th November 2018, and extend their sincere sympathy to his sister, Olga, and brother in law, Alan. The funeral will take place at the Royal British Legion hall, Garvagh at 13:15 on Monday 3rd December. This will be followed by a service at the Presbyterian Church at 14:00 and following the service the burial at the nearby cemetery.